Living in Destin, you can experience excessive rain, tropical storms, flooding, hurricanes, and on the rare occurrence, ice. At Todd Claim Service, we strive to be of assistance if a disaster occurs and your home or property has been damaged. Flooding, lightning, hurricanes, and tropical storms are just a few of the common issues Northwest Florida experiences. We can also help insurance companies with wind damage, fires, etc. Flooding occurs throughout Northwest Florida, lower areas experience water rising quickly causing damage to their home’s items, foundation and interior walls. On average, the Florida Panhandle is 345 feet above sea level but there a lot of parts that are significantly lower than 345 feet. 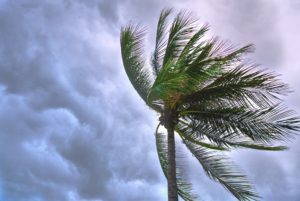 Tropical storms and hurricanes have strong winds and can result hundreds of thousands of dollars in damage. Florida also has the highest amount of lightning strikes in the United States, averaging at 24.7 strikes per square mile. There are steps homeowners can take to increase the amount of wind and rain their homes can withstand with hurricane shutters, hurricane clips, hurricane straps and nails. Additional steps homeowners can take include impact resistant doors. At Todd Claim Service we can help claim belongings that were lost in a home or business during a disaster. We will verify that an insurance policy exists for the person or property, go over exactly what is covered under the insurance policy, damage to the property as well as any possible medical records if an injury has occurred. Our team of experts stay up to date with the latest and greatest technology to speed up the insurance claims process. All of our staff members are certified which helps with the efficiency and helps improve claim performance. If you have any questions about the insurance claim process, give us a call today at (850) 243-9195.